← How Can You Make Seeing a New Doctor Less Stressful for Your Elderly Loved One? 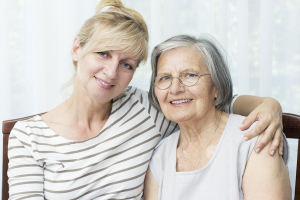 The role-reversal that ultimately occurs when one is caring for an aging parent is perhaps the most difficult part of the process for both the parent and the child. The parent see’s their independence slipping away at this point, which can lead to both avoidable and unavoidable battles. The child takes on a role that defined their parent for at least the first eighteen years of their life—the decision maker, the advocate, the responsible party. While not all relationships come from such beginnings, many caregivers will find themselves defined by these roles as their parent ages. Here are some time-tested approaches that have led to successful caregiving experiences for those that came before you. Unless you have specific powers of attorney, your parent has the right to choose their lifestyle for themselves. This can become difficult as you watch them choose processed foods over fresh fruits and vegetables or reruns of I Love Lucy over exercise. You know you’ve reached the professional caregiver status when you choose your battles carefully and avoid confrontation through distraction. Consider these two suggestions: “Mom, you really need to get more exercise.” Or “Let’s go out for a drive and check out the botanical gardens.” Your mom may be unaware that there are miles of trails at the botanical gardens and that exercise was your motivating factor, but she will probably remember the day with joy. Food intake—the quality and quantity—is often a topic that produces discord. Help your parent make healthy choices by making sure their refrigerator is stocked with delicious fruits and vegetables. Keep carrots, celery, broccoli and olives prepared and cut next to their favorite dip. Fresh berries can coincide with yogurt or their favorite cereal. Coming to a common ground through compromise is often the best tactic to take. Your parent is going to have good and bad days. There are days when any advice you share will be bad advice. Try to remember that age is taking its toll. They may be in chronic pain that they rarely discuss or carry a deep-seated fear about what the future holds. Holding on to the reality that your suggestions are just that—suggestions—and, unless your parent is putting themselves in harm’s way, there is little you can do to intervene, will help you weather the inevitable storms with grace and humor. It’s important to take time out of your caregiving schedule to care for yourself. Having this time to recharge and rejuvenate does wonders not only for you, but for your relationship as well. Consider the services of a home care provider who can assist your parent with their daily activities of living as well as prepare meals, provide transportation and run errands. Knowing your parent is in good and capable hands will offer you the time you need to do the things that bring you joy without worry or concern. This entry was posted in Caregiver Covington TN, Personal Care Tips and tagged Caregiver Covington TN. Bookmark the permalink.